The digestive process actually starts in your mouth and is a highly complex combination of biological and chemical reactions. 'Wrong' foods for one person won't necessarily be wrong for you, but processed foods, not eliminating effectively or absorbing the right nutrients for your body are all very common problems. What you put in your body is absolutely key to your health and getting the right balance of nutrients unique for you is vital. Eating the wrong foods for your body and / or in excess over a long period of time can mean a whole array of symptoms. Where in your digestive tract is the issue? What allergens are causing your symptoms? What's causing you to feel so tired? Shows us where the Acute (high number) and Chronic (low numbers) imbalances are within the body. You have IBS, Diverticulitis, Crohn’s or Celiac disease it can be pretty discouraging to say the least especially if there is no action plan to help you. 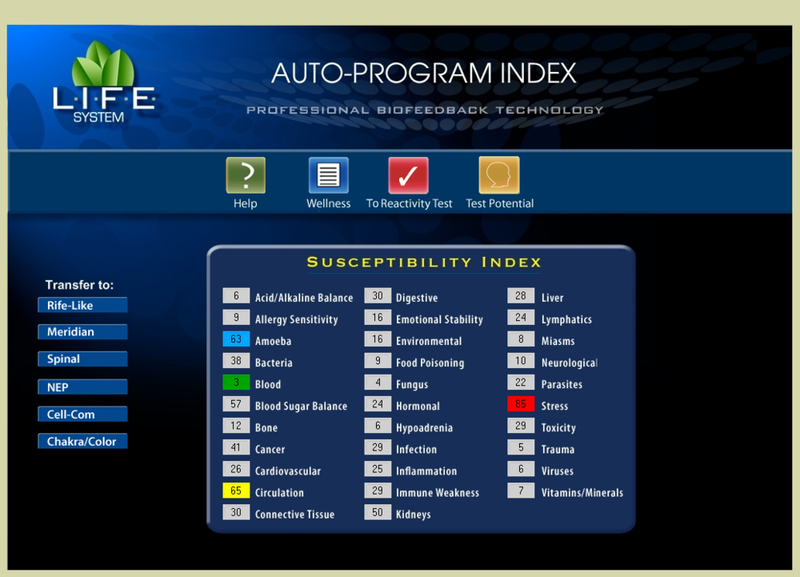 Ultimately I see it more as discovering what your body is sensitive to, or what it's deficient / excess in opposed to being stuck with a 'condition' and Biofeedback can help us locate your body's unique needs. If you are experiencing any of the following Biofeedback can help you. 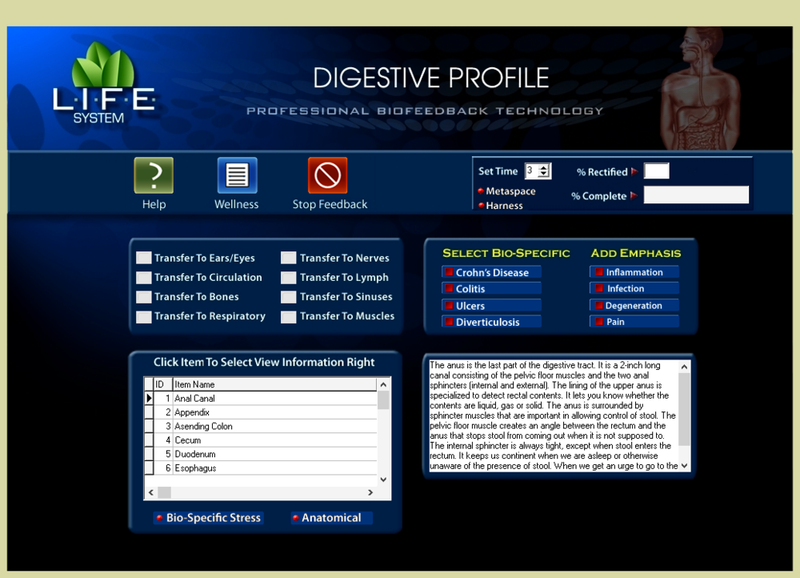 Discover where in your digestive tract is under the most stress. From the upper tract to the lower, adding emphasis on specific healing aids or bio-specific conditions to help ease your symptoms.